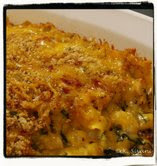 Cooking 4 all Seasons: Microwave Easy Cooking with Basics - Round up and next Theme! Microwave Easy Cooking with Basics - Round up and next Theme! Another month has gone and its time for the round up of the Microwave Easy Cooking with Basics. The entries that came in were quite something, I would say. I was really apprehensive about expecting entries for this theme as this is something quite boring and can be said as difficult. But I was wrong, I was trilled at the enthusiasm showed by the bloggers and the entries were exciting. Most helpful when you want to do something quick. I have tried to summarize at the end. Hopefully everybody finds this round up helpful. Before I start, I would like to thank everyone who had taken time off to send in their entries. I really appreciate that. I asked for Basics and look what I got! 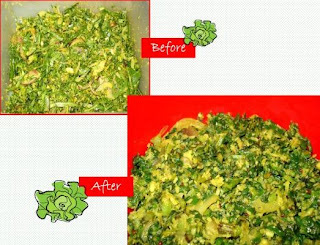 Suma from Veggie Platter showed that anything and everything can be done in Microwave. 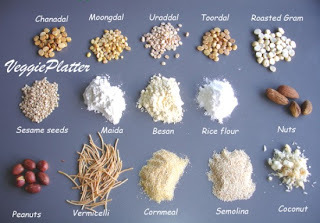 Check out how Suma toasts / Roasts of Nuts, Dals, Flours & spices AND Papads & Fryums. Talk about everything in Microwave! She is so meticulous in explaining everything on 'how to' in microwave. Thanks Suma for the wonderful tips and process shown in Microwave. Viji's blog as I said is a treasure for a beginner. Her series on Weekend Brunch puts any menu planner in wanting. The varied of dishes she brings out in her series are so amazing. And can you believe, she got most of her basics done in Microwave for her Weekend Brunch this time. How fantastic! Hop on to her blog for more details on how the preparatory cooking was done to get started with the whole Karnataka Brunch! Well now Asha is my most favorite blogger. I guess she is for many! And I would've been really disappointed had she not sent in anything, because she was busy with her RCI: Kar. But she has managed to send in atleast one. Thank you Asha, very sweet of you to take time for this event. And guess what she grows so much of tomato that its no wonder that she had to find out efficient ways to store them all. 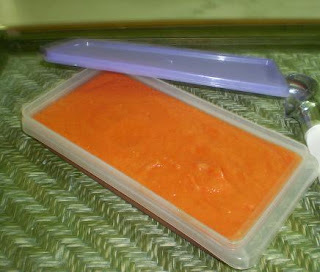 She brings out a basic Tomato sauce out of the Microwave, which can used in a myriad of dishes! The sauce looks rich and beautiful that it can be had as such but Asha gives us a list that can make use of this heavenly sauce. I guess this works out best for people who have plenty of tomatoes on hand and also those who need to get a dish out in jiffy. Enjoy! She says they have recently started using Microwave and make use of it for cooking rice, boiling potatoes, extracting juice out of lemon, defrosting frozen peas, paneer. Wow thats whole lot I would say! Now we come to our next entry, which is from the blog called 100% Microwave Cooking. 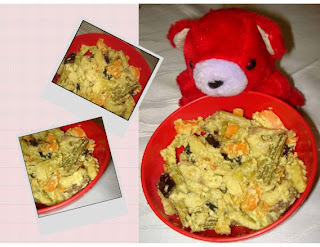 Well this is one blog that showcases everything in Microwave. Talk about dedication! 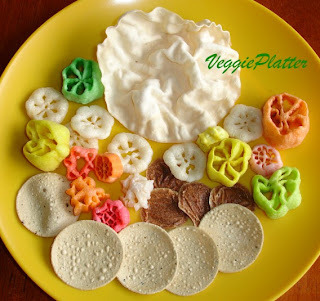 Easycrafts makes a point to try everything in microwave and this blog is one stop reference to recipes that can be prepared using Microwave. Easycrafts talks about simplified cooking with MW. So how about roasting, blanching, extracting and can you believe making paneer!. 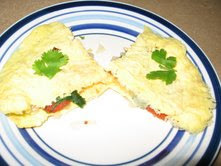 Check out this blog which features Microwave cooking to the pleasure of mine! Can you imagine what comes next? Yes idlis and Uttapams. 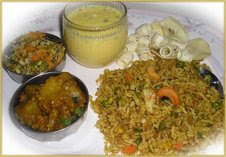 The Traditional items from South India all from Microwave. Siri from Siri's Corner says "WHERE THE BELLY RULES THE MIND..."
She has made 'A Idli and An Uttapam' all Microwaved. She says she was too lazy to make idlis in the Idli stand. And she was surprised that they turned out yummy and delicious and Quick when she tried them out in Microwave! Not just these Siri becomes very innovative and makes a Microwave Omelette! Nupur's One Hot Stove is a place for all. Her posts are lengthy! But you think I am complaining? Nay, I love reading her posts which looks more like a novel than an account of whats going to come as a recipe. Most times, I become reminiscent while reading those accounts and get nostalgic. Talk about spicy notes to spice up your life. For this theme, she has come up with the most unexpected basics! You want to cook veggies in a jiffy or in a mood to roast papad or just want to sip a cuppa of tea while doing all these, Nupur has all the tips on hand. But the best one I can say is the tip on disinfecting kitchen sponges! This is ultimate. Way to go Nupur and we expect more to come. Sona, calls herself the kitchen scientist. It fits her quite well, as I see she experiments with most of the things and comes out with some fabulous looking dishes. What attracts the readers when they land in her blog, are her pictures. They are unique and very artistically taken. She remembers somebody saying "things are best explained when done using an example", so she explains basics showing us two dishes made so simple. First one is Palak Thoran...she says she prefers to eat Palak only if its MW'ed, This palak thoran gets done in 5 mins cooking time. Her second entry is "Avial". Avial is a beautiful dish from kerala, an amalgam of different veggies. Both hard and soft ones. Sona explains how these different textured vegetables need to be cooked together in a Microwave. Pravs of Simply Spicy shows us how to prepare a beautiful chutney with Cilantro in Microwave. She also prepares her cup of tea in Microwave. 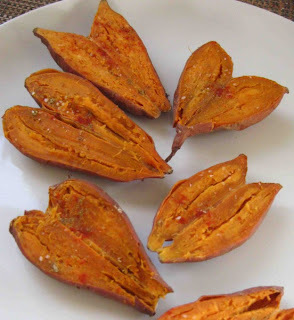 check her blog for details on how to roast Pappad, cook Thayir milagu, or Boil milk. The wonderful ladies from The Yum Blog never cease to amaze me. The energy and enthusiasm showed by them is boundless. 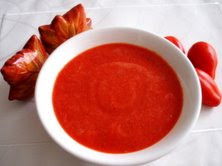 They prepared a tomato puree which comes handy when you have lot of tomatoes on hand or if you plan to buy them in bulk and store, this is the best way to do so. I have seen that they do many basics cooking in Microwave, so check out their tips on using Microwave. Thank you for your wonderful tips Lathamma, appreciate them. Last entry was from a beautiful blog called Ruchi Chūchu. Creativity is something best explained as something you see and say "wow, why didn't I think about this". This is how I felt when I landed in Sivani's blog. Its so beautifully assembled and her ingredient listing is unique. She talks about making White Sauce and yes I am so fond of White sauce. Its been long time since I remembered White sauce. It was those days when I used to make burgers, I never liked mayonnaise as I don't eat Eggs, so had to prepare White sauce with flour. I loved the aroma coming out of this while you stir it. I just loved the fact that we can do this in Microwave in no time. Sivani, thanks for the lovely entry. Making idlies and Uttappams and Omelette! and last but not the least Disinfecting kitchen sponges! A big thanks to one and all. Hope this will be helpful to all those who want to venture into Microwaving! Request everybody to enjoy and share their thoughts. Click on the hyperlinks in each entry and appreciate the entries, for they have helped much towards easy cooking in Microwave. Looking forward to the next round up with Snacks!